Little Tikes 3-In-1 Sports Zone Just $39.99! Down From $55! PLUS FREE Shipping! 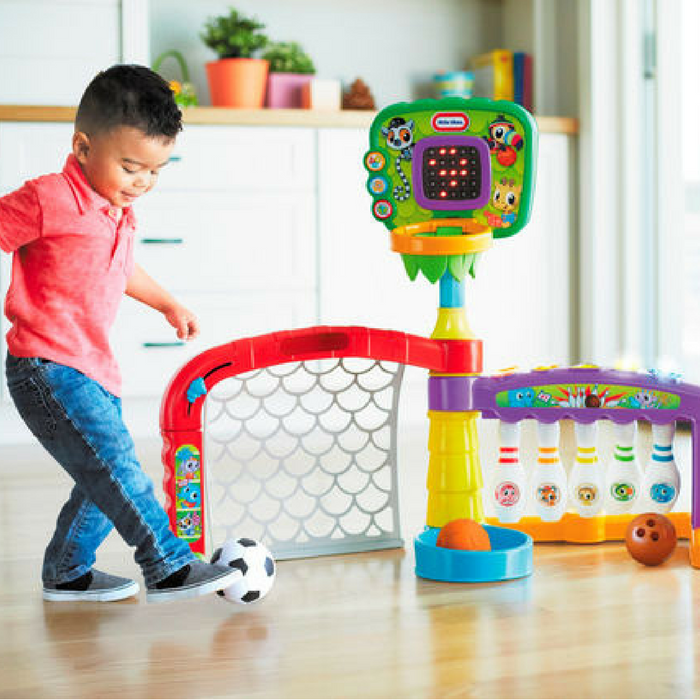 You are here: Home / Instagram / Little Tikes 3-In-1 Sports Zone Just $39.99! Down From $55! PLUS FREE Shipping! Head over to Toys R Us where you can score the Little Tikes 3-in-1 Sports Zone for just $39.99 down form $54.99 PLUS FREE shipping! Light the Way to Active Play with Little Tikes 3-in-1 Sports Zone. Dunk, kick and score with fun infant Sport Zone. Babies will love playing basketball, while developing coordination and confidence! Future sports stars will develop motor skills, hand-eye-coordination and confidence while playing soccer! Little bowlers will have a ball knocking down and re-setting pins. This Sports Zone grows as your baby does with three modes of play and adjustable height basketball hoop. It even folds for easy storage! It’s a slam dunk!